Addressing a pressing legal debate about FERC’s authority, Commissioner Richard Glick believes that FERC has the authority to deny a natural gas pipeline certificate application if the downstream effects show excessive greenhouse gas (GHG) emissions for the gas being transported after weighing project benefits and other factors. That view puts him at odds with opinions expressed by pipeline officials recently, who maintain that the authority of FERC to consider indirect effects of a pipeline project is limited, even after the U.S. Court of Appeals for the District of Columbia Circuit remanded a case to FERC because it did not consider GHG emissions of power plants to be fed by natural gas transported by a collection of pipelines that included Sabal Trail Transmission LLC. The officials from National Fuel Gas Supply Corp. and NextEra Energy Resources LLC asserted at a panel during the Energy Bar Association (EBA) Mid-Year Energy Forum that FERC’s authority in this area is not clear and is subject to interpretation of a few key cases. “I don’t think there’s any doubt” that FERC does have the authority to reject a pipeline certificate application if the environmental impacts are examined and considered excessive, Glick said in a November 2 interview with The Foster Report. The D.C. Circuit was clear that FERC has an obligation to consider GHG emissions from downstream uses of gas under certain circumstances, said Glick, a Democrat who has written dissenting statements on some pipeline project approvals because FERC has declined to consider such factors when the upstream or downstream emissions associated with pipelines are not clearly defined. “To the extent that if we found those issues to be excessive, and weighing the proposed benefits of a project, I think we certainly could deny a project on those grounds,” he said. That comment goes a bit beyond some of the statements Glick has made in dissents or in public forums on FERC’s statutory authority and its review of the 1999 pipeline certificate policy statement. That policy statement review is ongoing, and FERC Chairman Neil Chatterjee has indicated that broad policy determinations often are preferred to reflect a unanimous action from a full complement of commissioners. FERC has one vacancy at the moment, with Bernard McNamee of the Department of Energy tapped by the White House to fill the seat of former Commissioner Robert Powelson. Glick, who worked in the Senate during two different stints, most recently as general counsel to Senate Energy and Natural Resources Committee Ranking Member Sen. Maria Cantwell (D-Wash.), deemed it premature to assess whether the Senate will confirm McNamee following a November 15 hearing before the committee. He expects questions from senators to be substantial and focused on McNamee’s role within the Trump administration and its efforts to subsidize coal and nuclear generation units. FERC has a quorum, with two Republican commissioners and two Democrats, so it will be up to the Senate majority to decide how much of a priority it is to try and confirm McNamee, Glick said. A traditional move has been to pair nominees from both political parties to gain Senate approval and “that is an option” if Senate Democrats want to have President Donald Trump nominate Cheryl LaFleur, whose term ends in June 2019, for another term at the Commission. Chatterjee was named chairman by President Donald Trump on October 24, and, like Glick, he has a Capitol Hill background along with experience in the energy sector. “He’s a consummate negotiator,” Glick said of Chatterjee, relating how in the Senate he was known as “the Boxer whisperer” for his ability to relate to and forge agreement with former Sen. Barbara Boxer (D-Calif.), an environmental advocate with views often opposite of his boss, Senate Majority Leader Mitch McConnell (R-Ky.). Glick believes any change at FERC under Chatterjee as chairman will be more “stylistically” and not substantive. McIntyre is more of “a lawyer’s lawyer” while Chatterjee is more of a negotiator that enjoys the interaction and discussion among commissioners to try and bring parties together on difficult issues. The pipeline certificate policy statement review involves some of those difficult issues, with comments that reflect a lot of different views from pipelines, environmental groups, natural gas customers, landowners, and others. “We’re still working our way through the comments,” Glick said, with one of the essential questions centered around proving the need for new facilities and whether to look beyond precedent agreements with shippers, including those affiliated with pipeline owners. The issues were addressed in the 1999 policy statement, but over time FERC has “veered off track” to not consider any issues beyond whether precedent agreements have been reached. Glick said he has spoken with a pipeline developer that is willing to submit additional evidence for FERC to consider as an indication of need for new facilities. “I’m hoping to convince my colleagues, and I think we’ve had some fruitful discussions so far, that maybe that’s the way to go. Maybe just require additional evidence” to prove a project is needed, he said. Among the pipeline projects pending at FERC and some to be developed in the future will be to send gas to LNG export projects. A few groups maintain that such projects should not be deemed to be in the public interest because of the export function, but “I don’t find that disqualifying” from the ability to receive a certificate of public convenience and necessity, Glick said. If the Commission examines issues beyond precedent agreements, it would be better able to determine the need for new pipeline facilities, he said. FERC has issued a final rule and policy statement on pipeline rates stemming from the lower federal corporate tax rate in the Tax Cuts and Jobs Act, calling for natural gas pipelines to file Form 501-G reports that include capital structure, return on equity and other information. 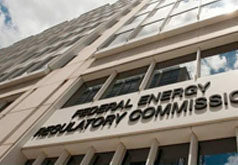 Because the Natural Gas Act does not provide FERC with the authority to order refunds – something Glick said he tried to change when he worked in the Senate — he said he is concerned about where the 501-G process could be headed, with little follow-up from the Commission to see that consumers benefit from the corporate tax reduction. “I think we owe it to customers of pipelines” to see the benefits of the law, and a few pipelines have indicated in initial filings that they will reduce rates or reach a settlement, but a lot have not taken such steps, said Glick. He is not sure how the process will play out in the coming months as more pipelines file their reports and what action FERC may take in response to the information. As he did in a statement when FERC issued its final rule, Glick expressed hope that Congress can change the Natural Gas Act to provide the Commission with the authority to order refunds, similar to the Federal Power Act. The pipeline sector has a strong lobbying arm that has been successful in defeating such legislative changes in the past, he noted. A legislative fix might be needed for FERC to effectively address the dichotomy of state resource decisions and competitive wholesale market designs that are presenting challenges, Glick added. “There will always be schisms” between federal and state authority under the Federal Power Act, but the current debate is different than in the past because new technologies allow retail customers to generate their own power with rooftop solar or other behind-the-meter facilities. Such facilities are going to be involved in wholesale market transactions “that are, in my view, subject to the Federal Power Act” and FERC’s authority, he said. The issues are pending before FERC in a few different cases, so Glick would not address specifics, but he believes the Commission can “figure out a new paradigm” that addresses wholesale market issues without hindering the authority of state regulators. “I think we have an obligation to accommodate state policies as much as we can,” while finding a way to oversee the wholesale market, ensure just and reasonable rates and ensure grid reliability is not harmed, he said. A recent report from PJM Interconnection on fuel security for power generation facilities suggests that “there are no showstoppers” in the PJM market that put grid reliability at risk, with the exception of certain scenarios with extreme weather, power plant outages and other factors at play at the same time. The question for PJM stakeholders and the Commission could boil down to what is the market’s tolerance for risk and how best to allocate that risk, since ensuring less risk often involves higher costs to customers. FERC and others need to figure that out as the PJM market evolves, he said. “I think it would be helpful to have some greater clarity” from Congress on the federal and state authority questions, Glick said, though he acknowledged that the chances for passage of energy legislation may be slim in the current political environment. Senators may be pushing for energy legislation and have some bipartisan agreement on many issues, but if the House of Representatives switches to a Democrat majority it will make passage of legislation even more difficult, he said in the interview, which was conducted before the midterm elections. Similar to remarks he made in recent speech during the EBA forum, Glick said he hopes there is not an increased risk of politics or partisanship affecting the dynamics at the Commission. Politics in Washington can heat up at different intervals, but FERC’s traditions and role as an independent agency have not changed and Glick said he does not believe that the Commission is at a higher risk of political interference. He also referred to past comments by Chief of Staff Anthony Pugliese that were “ill-advised” about the Trump administration’s efforts to support coal and nuclear generation facilities and emphasized FERC’s ability to maintain its independence.